Following the signing of the Impact Benefit Agreement between the Gahcho Kué Joint Venture and the Tlicho Government, on January 24, 2014, enabling the company to start construction work at the proposed Gahcho Kué open-pit mine, joint venture partners of the project De Beers Canada Inc. and Mountain Province Diamonds have announced the signing of a second Impact Benefit Agreement with the Yellowknives Dene First Nation in Dettah on Tuesday, February 18, 2014, for the proposed Gahcho Kué Mine. “The Gahcho Kué Project is located within former Chief Drygeese Territory, the traditional territory of both the Tlicho and the Yellowknife peoples. Hence, the need for a second IBA agreement with the Yellowknives Dene First Nation. The agreement while setting up a framework for De Beers and the Yellowknives Dene First Nation to work together over the life period of the mine would also enable the participation by the Yellowknife people in the opportunities that the mine would provide during its exploitation. 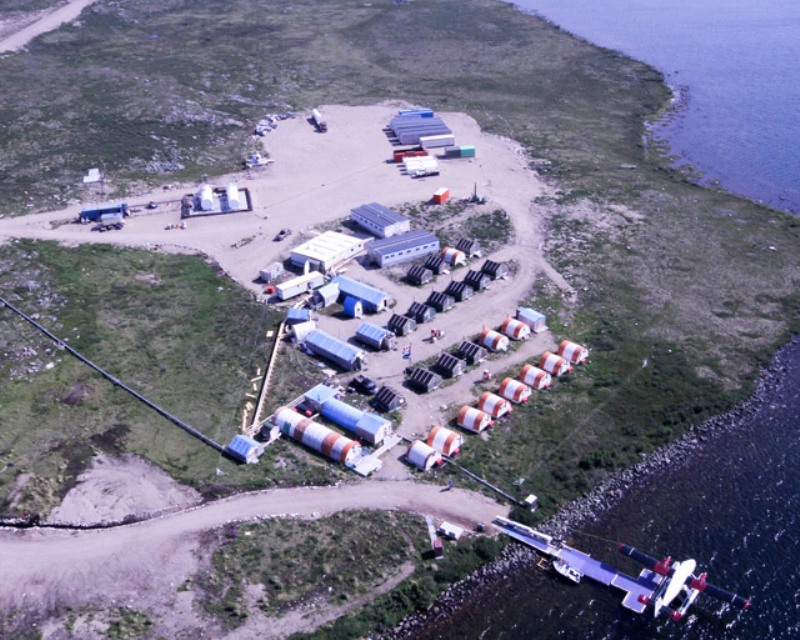 The Gahcho Kué Mine is a joint venture between De Beers Canada (51%) and Mountain Province Diamonds (49%). The Kennady Lake kimberlite cluster 5034, Hearne, Tuzo and Telsa are situated under and adjacent to Kennady Lake, 280 km northeast of Yellowknife, and 80 km southeast of De Beers Snap Lake Mine in the Northwest Territories. The project area of 10,353 acres is held by the Gahcho Kué joint venture partners under a renewable 21-year mining lease. Gahcho Kué will be an open pit operation and production at the mine is due to start in December 2015. The mine with a reserve of 49 million carats of diamonds, will have a life span of 11 years, mining 3 million tonnes of kimberlite annually with an average grade of 1.57 carats per tonne, producing an average of 4.5 million carats of diamonds annually. The Capital cost of the project is estimated between $600 million-$650 million, and the project will provide employment for nearly 700 people during the two- year construction phase and nearly 400 people during its operational phase. De Beers to go ahead with expansion of its Victor diamond mine in Canada after consultations with local communities.